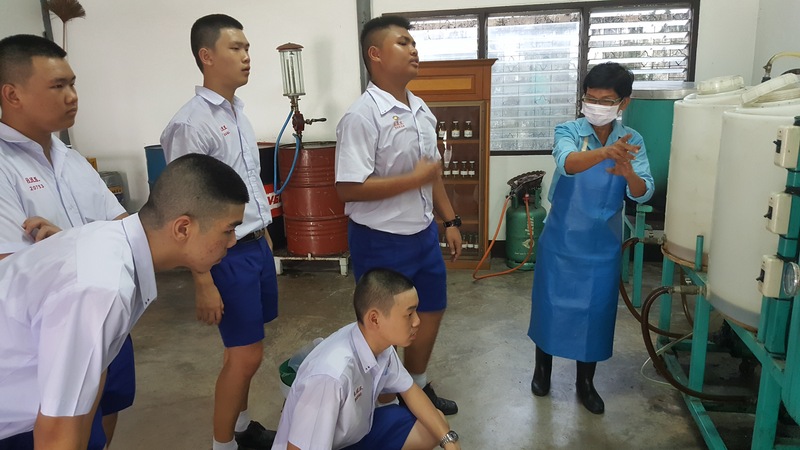 Biodiesel Centre processes used oil left from cooking at the school canteen and supplied by students and parents in order to produce Biodiesel for internal use. 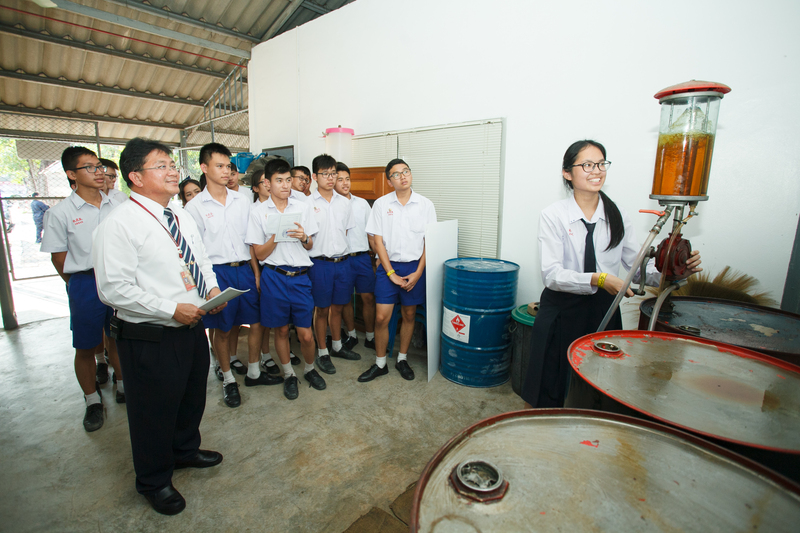 The Centre produces around 3,598 litres of Biodiesel/year and saves up to THB 89,950/year as vehicle fuel expense. 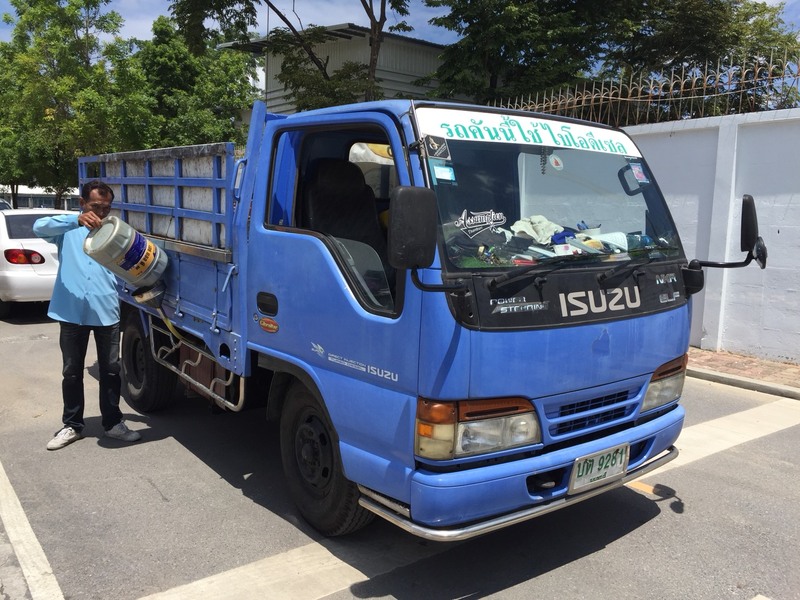 Biodiesel is currently used with four large vehicles for transporting activities within the school premise and sold to local communities, which produces up to THB 110,283/year. Key highlight of using Biodiesel is the reduction of CO2 emission of 9,450.15 kgCO2e/year.